Marketers are walking a razor’s edge when it comes to demand generation. For any given campaign, success requires effective execution on several fronts, while failure is only a key mistake away. It explains why demand gen is an area where many companies struggle. In fact, according to a study by IDG, 61% of B2B marketers reported to have problems in this area. As disheartening as this may seem, all is not lost. Many companies can and do run consistently successful demand generation campaigns – and it’s not by accident. In the last year, HiP has fulfilled more than 2,500 demand gen campaigns (both successful and unsuccessful). As a result, we have a unique view into the art and science that makes up demand generation. We can say with some certainty that a specific set of traits marks the most successful demand gen campaigns. There are two components of relevant messaging: the persona and the stage of the buying process. In other words, to be relevant, you have to understand who your buyers are and what they’re currently doing (in terms of buying). The persona is the more straightforward component for most companies. In order to run a demand generation campaign, you have to have at least some idea of your target audience. This information – location, age, gender, job title, etc. – is the foundation of a persona, though it’s by no means the full extent of it. Knowing this information and understanding it aren’t necessarily one in the same. For example, job responsibilities may vary greatly between jobs with the same title. Accordingly, effective personas are “fleshed out” with behaviors, attitudes, and other psychographics. Information like channel preferences and price/value sensitivity are absolutely essential to a complete persona. Stage of the buying process is the more commonly neglected component of relevance. As important as it is to understand who your audience is, it’s equally important to understand them in relation to your offering. For a demand generation campaign, the target audience will be somewhere between initial category awareness and early product evaluation. The most effective content depends on the stage. For instance, a buyer in the priority shift stage needs information on the benefits of this category of solutions, while a buyer in the early research stage will require information that explains the nuts and bolts of the solution. Value goes hand and hand with relevance, but it’s important not to confuse the two. Content can be relevant without being valuable, just as it can be valuable without being relevant. Your audience is made up for rational, self-interested individuals, just like yourself. They need a compelling reason to engage with your content. Even sent to the appropriate people (at the appropriate stage of the buying process), engagement is dependent on the value provided. To deliver value, you have to understand the responsibilities, goals, and pain points of your audience and deliver content that speaks to these points. The core question in any type of content creation – demand gen or otherwise – is: What will my target gain from interacting with this content? The answer to this question is the key point of the messaging to promote this content. After all, at its core, demand gen is about putting key information in the hands of a specific audience. Even with a relevant and valuable message, you’re not quite in the clear. Timing is the next factor that comes into play. Depending on your offering, timing can range from important to imperative. Companies operate on different timelines. Things like seasonal sales variation and non-calendar fiscal years often factor in to purchase decisions. At the departmental level, use-it-or-lose-it budgets, quotas, and other quarterly/annual goals can have an even greater impact on purchasing. In many cases, securing deals can be as simple as asking (read: demand gen) at the right time. For example, many sales/marketing departments have excess budget near the end of the calendar year. These managers and directors know the surplus will be subtracted from the next year’s budget if it’s not used, so they often choose to purchase services like lead gen (where they can spend more or less what they’ve got and get a jump on the New Year). This trend makes the last couple months of the year an opportune time for such agencies to do demand generation. With relevance, value, and timeliness, you’re one – albeit important – step away from the ranks of the most successful demand generation campaigns. That step is measurement. Unlike its three counterparts, measurement isn’t a feature of the message as it’s seen by the recipient; however, it provides much-needed confirmation and an impetus for change (if needed). Measurement plays a role in demand generation in both the short-term and the long-term. In the short-term, measurement processes allow for the optimization of individual campaign elements through A/B testing. In a basic lead generation campaign, you have three points of potential drop-off: the open, the click, and the form completion. 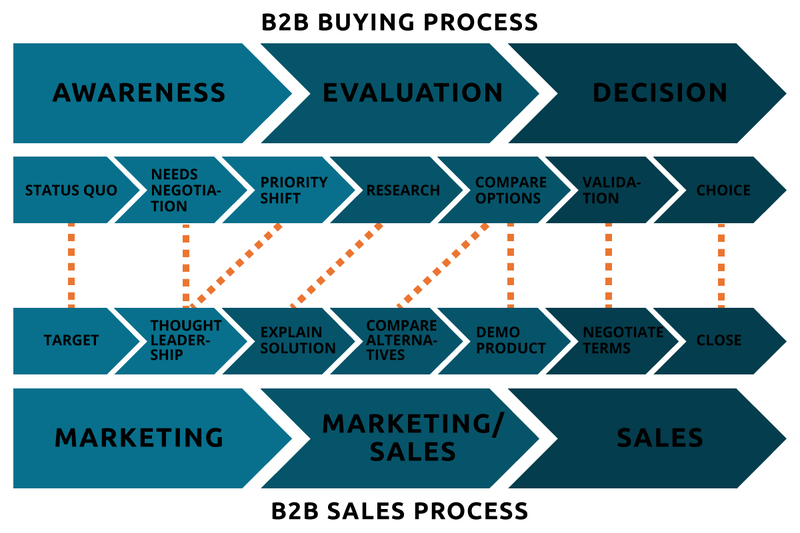 Testing and optimization at each stage prevents bottlenecks and ensures your prospective lead stays on track. In aggregate, this testing data can provide more long-term, strategic insights into your audience. By organizing key metrics into a “scorecard” for your campaigns, you’re able to meaningfully benchmark your campaigns and ensure that your demand gen is headed in the right direction. This type of reporting can help to provide early indications of changes to the industry, decision makers, evaluation criteria, and so on. Relevant, valuable content coupled with timely delivery and appropriate measurement is a potent demand generation combination. Realizing such an effort requires a definite commitment to strategy and optimization; however, doing these four things consistently well will put you in the upper echelon of today’s demand generation efforts and pay dividends later in the funnel.